UPDATE: we have just been told that this deal ends at close of play today. What time that means exactly, we don't know, so if you want a free Switch you need to be fast. 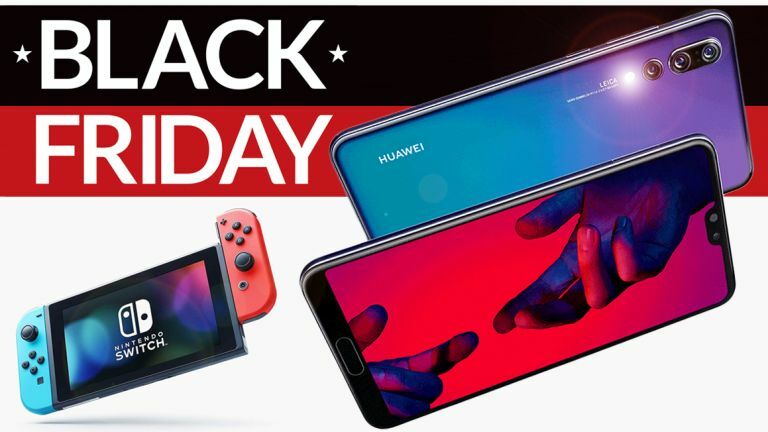 EE has taken the wraps off a scarily good Black Friday deal on the Huawei P20 Pro, which includes a free Nintendo Switch with your brand-new handset. Yes, you did just read that correctly. EE is handing out a free games console – just in time for Christmas. As Black Friday freebies go, this one is going to be nigh-on impossible to beat. Not will you walk away with a free Nintendo Switch, but you'll also be getting one of the most impressive smartphones on the market right now. Although it launched back in March, the P20 Pro is still the flagship handset in the best-selling P series from Huawei. The P20 Pro boasts a triple camera set-up on the back of the phone, combining a large 40-megapixel primary colour camera with a 20-megapixel monochrome lens and an eight megapixel telephoto camera. Working together, the three cameras add beautiful gradual bokeh-style blur to the background of portrait photographs and salvage images in gruelling low-light conditions. In our five-star review, we described the Huawei P20 Pro as "powerful, refined, fast, stylish and, most importantly of all, desirable." The new deal isn't just available with the Huawei P20 Pro, either. EE is offering new customers the chance to bag a free Nintendo Switch with a slew of Huawei and Nokia branded handsets in its Black Friday sales. These include the Nokia 7.1, Huawei Mate 20 Lite, and Nokia 3.1, and more. All of the qualifying monthly plans come with 10GB of superfast 4G mobile data, as well as unlimited text messages and minutes. Like all EE contracts, you'll get access to three free months of BT Sport to stream on all your devices – and cast to your TV, as well as six free months of Apple Music. If you're looking for the cheapest way to get your hands on a free Nintendo Switch from EE, look no further than the Nokia 3.1 for £33 a month with no upfront cost.